You may remember a while back, everyone switched over from static stretching and warmup to a dynamic stretch type warmup/routine. I did too. I think it’s great. However, many players, coaches, and parents forget that stretching can also help repair muscles and maintain muscle/body health. When you dedicate as much time to training as you do, you really do need to be proactive in your recovery as well. If the only time you stretch is during warmup, don’t worry, you’re not the only one. I was guilty of this too. Like many other softball players, my daughter complained of lower back pain. As a former softball players whose had my own share of lower back pain, I figured it just kind of comes with the territory of playing softball. After all, we do so much twisting and as well as a lot of quick explosive movements. Well, what we found out was, her lower back pain actually stemmed from her calves. Her calves were REALLY tight! The funny thing is, your calves can be tight without you really noticing. She didn’t have pain there. However, the tightness in her calves was pulling on her hamstrings which eventually ended up pulling on her lower back and caused strain and pain there. Not only did the problem in her calves cause lower back pain, it also affected her running. When the muscles connected to your feet aren’t working the way they should, there’s no way your body can move in the most optimal way to attain your maximum speed. In other words, even though she’s quick, this problem was slowing her down. Double whammy! Pain and reduction in performance – bad deal! Thankfully, there are some cool tricks that can help. The guys over at SMR which stands for Self-Myofascial Release (or self massage) can show you how to address muscle issues to reduce pain AND increase performance. Obviously, not everyone who plays softball takes care of these issues (or has a coach or parents that realizes they need to). You know how they say, you must do what others don’t to get results they can’t? Use stretching to take care of your body so it performs at it’s highest capacity for you. 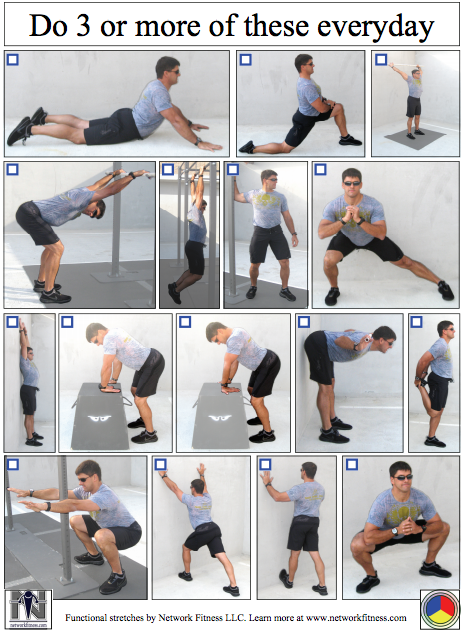 The people at SMR have a Stretches and Functional Movement Instructional Page you can use to get started. Whether you’re a super competitive athlete or someone who exercises for health and fun, these can help you keep your body healthy and moving well. Great post! We found out from my daughter’s Ortho surgeon how other muscles affect different body parts. Unfortunately it was after she needed major shoulder surgery. I now share everything I have learned from her doctors and therapists. She has also decided to be a Physical therapist herself. I’m sorry she had to go through her injury though. It’s also tough to see your daughter need surgery of any kind. Glad it all worked out.